Make any one of these 7 projects to bring you a little luck or spring cheer to celebrate St. Patrick’s Day! Stitch a “Lucky” banner with Holly Lefevre’s Burlap Banner tutorial, perfect for any leprechaun party! Or, stitch your own lucky letters to create a custom phrase for your banner. 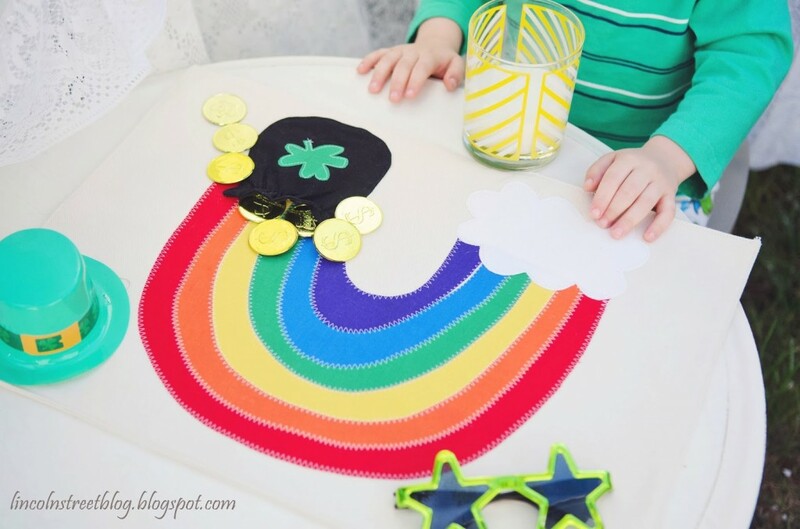 You don’t have to be a leprechaun to find gold at the end of the rainbow with Christina’s DIY Pot of Gold Placemats. I bet you’re thinking to yourself, “Wait, is that a little treat bag in the form of leprechaun pants?” Why yes, and how cute IS THIS? 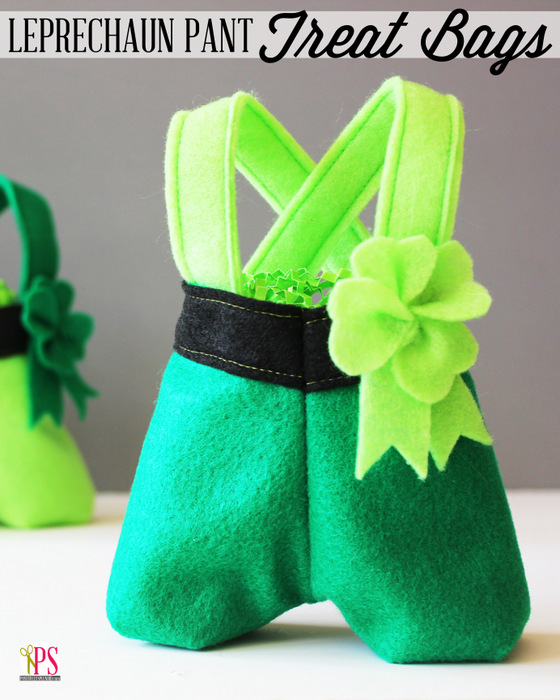 Get the Leprechaun Pants Treat Bag tutorial from Positively Splendid. Moda Bake Shop shows you exactly how to create this lucky shamrock quilt block and how to use it to create a lucky table topper. 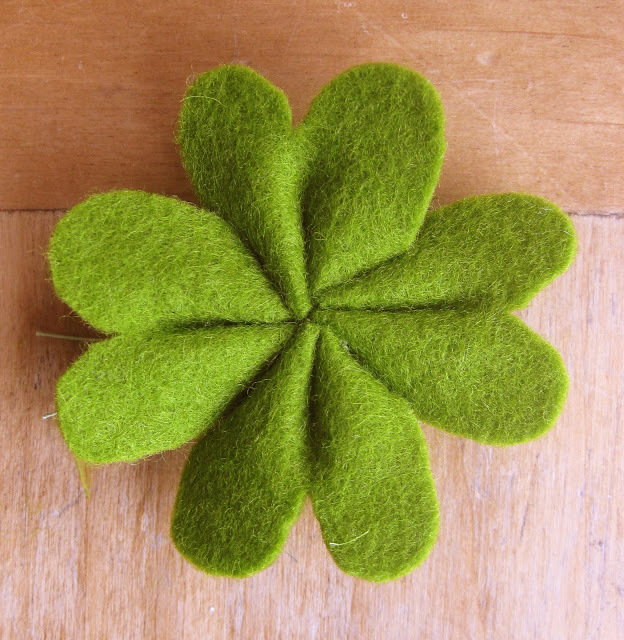 Get the Luck Of The Irish Table Topper tutorial from Moda Bake Shop. 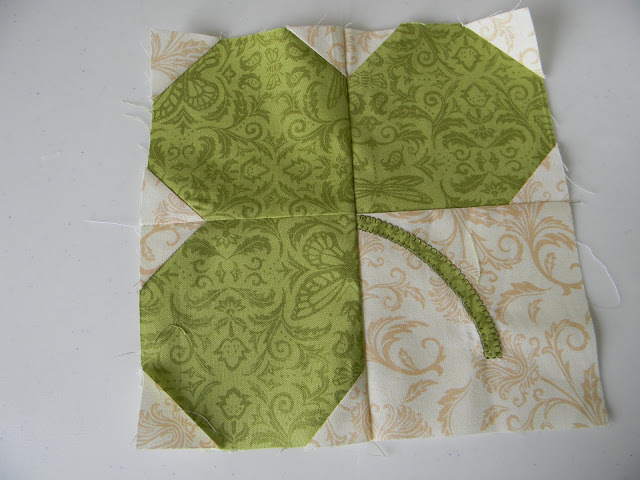 And why not quilt your pieced shamrock project with more shamrocks? Learn how to with Lori Kennedy and her Lucky Free Motion Quilt Tutorial. 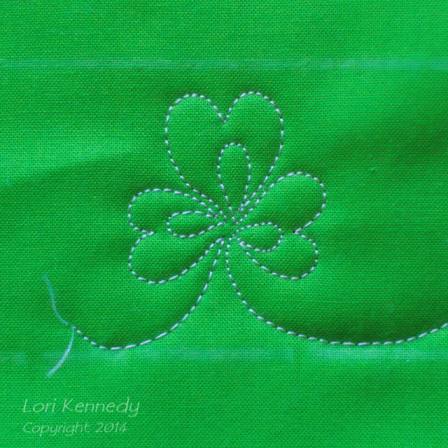 This little four-leaf shamrock is super simple to make, and has so many possibilities! Add wire stems to your shamrocks to make a whole bouquet, attach a little pin back and hand them out, or use them to decorate hair bands and barrettes. Visit Paper & Ink to get the Shamrock Barrette tutorial. We can all have a little bit o’ luck in the sewing room with Molly and Mama’s Lucky Pin Cushion tutorial. It sure doesn’t hurt that it’s also super cute! Next Next post: The Next BERNINA Faceplate Design is Up to You! Thanks so much for sharing my LUCKY PIN CUSHION tutorial Bernina! I hope your followers have a great time stitching up this cute little piece. 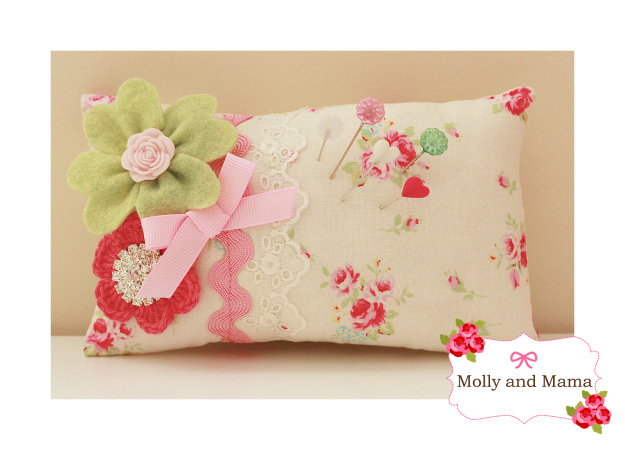 Feel free to share your sewing over on the blog or the Molly and Mama facebook page. I’d love to share your creations everyone! Happy stitching, Lauren from Molly and Mama.